Advisor and wealth manager Tanya Tucker looks at conservative theorist Jeffrey Anderson’s “Main Street Tax Plan.” His plan is focused “on the well-being of typical Americans” but Tucker argues it would do very little to boost their economic chances because the typical American doesn’t have much money to lose. The rich have money to lose, says Tucker, which is why much lower tax rates on wealth that is earned or inherited are so crucial to the economic well-being of everyone else. 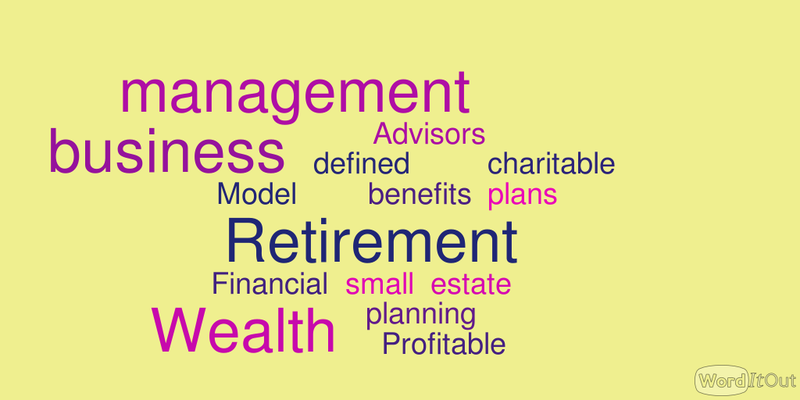 Among the three types of business models adopted by financial advisors (wealth management, multi-family offices and investment management), wealth management is regularly the most profitable. In each of the business models, some financial advisors were earning millions of dollars annually, but the relative percentage of wealth managers was greater with slightly more than 10% of wealth managers earning $1 million or more in 2015; 45% earned between $500,000 and $1 million. Equal splits among siblings are still the norm in estate planning, yet a new study finds that more parents are writing wills that favor some of their children more than others that experts say that’s a recipe for discord. The number of parents who treat their children unequally in wills more than doubled from 1995 to 2010, according to an October 2015 working paper from the National Bureau of Economic Research. Clients of wirehouse advisors are much less likely to leave than those who work with independent brokers. In 2015, just 5% of wirehouse clients left their advisors over high fees but 16% left independent broker-dealers and 20% left dually-registered advisors. The rate may have something to do with the types of clients the various advisors target. Retirement wealth is turning into retirement poverty for a growing portion of working households, according to the Economic Policy Institute (EPI). The labor-focused think tank has found “retirement wealth has not grown fast enough to keep pace with an aging population and other changes.” While retirement wealth has risen in absolute terms since the 1990s, the EPI says the growth trend has lagged behind changes in the aging population’s size and needs.